I know it’s nearly the end of March and I have yet to post the second part of my February favorites! (Part One is linked here). I love owls. 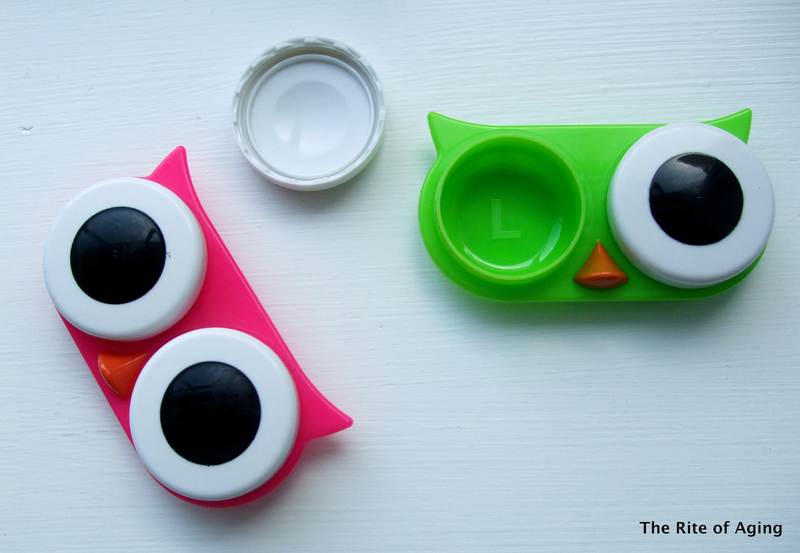 These contact cases are so cute, functional and make a boring routine more fun! The wells are larger and more shallow than traditional lens holders but I am not using any more contact solution than usual. The wells are well-labeled, as well. The only drawback is the caps are smooth so if my fingers are oily or wet I cannot open the lids. I wish they came in more colors (they are only available in hot pink, neon green, and blue) but they are absolutely adorable. This is not technically new. I have had this shampoo for over a year. Before you get too excited on how long this product lasted me let me tell you, I stopped using it six months ago. I bleached and colored my hair so I had to switch shampoos. I started using this again at the end of January when I decided to grow out my pixie. My hair gives my medical condition away. It generally looks unhealthy, which is why I cut it short to begin with, so keeping it looking well is my main priority. I use heat protectants, hair oils, and dry shampoos regularly so my hair becomes dull very quickly. The shinier my hair looks, the healthier it looks. I also want to make sure my follicles and head-pores (is that a term?) stay clean and clear for optimal hair growth! This shampoo is amazing at eliminating product build-up and restoring shine. Beware! : This shampoo will strip your hair of ALL its oil and moisture so use sparingly! I only use this once a week. Would I re-purchase it? Yes. This brand has a huge YouTube following and I just jumped on the bandwagon. I was extremely curious because reviews said it was great for keeping hair smooth and shiny. This conditioner is very moisturizing. It has a smooth consistency that is not very thick. It coats my hair evenly and sticks well without sliding. 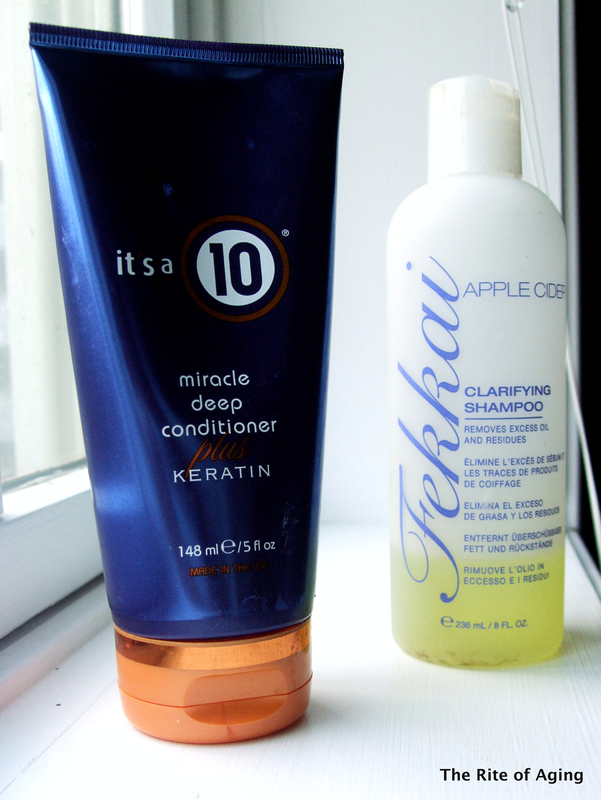 After I use Fekkai’s Clarifying shampoo my hair feels stringy, dry and tangled. I follow with the Miracle Deep Conditioner and this product restores hydration and makes my hair soft and manageable! I do not dread deep-cleansing my hair anymore! I always shampoo and condition first so the conditioner has time to sink into my hair while I finish the rest of my shower routine. When I bought this product I assumed it was a cream serum. When I open the bottle, I panicked. I did not realize it was a spray bottle! I am not really a fan of spray products for hair. I find them difficult to coat the hair evenly so I tested the squirter on my hand first and I am glad I did! A cream serum shot straight out of the nozzle (like those stringy foam squirt cans you see at children’s birthday parties). Unlike the deep conditioner in the same product series, the serum is a lot heavier than it seems. One pump is more than enough to coat my scalp. It dries slowly but it protects my hair from heat stylers. My previous interactions with heat protectants included losing style and going frizzy after the first day. With Miracle Leave-In I have noticed neither of these problems! My hair looks less fried. It looks like I just started straightening not like I have been putting my hair through the ringer since I was 13! Would I re-purchase? Yes, though, maybe not immediately. There are other products I would like to try. I am lazy. I rarely wash my hair. Day 3 includes nice oily roots that give me away. All I need from a dry shampoo is a fresh scent that does not linger, does not dye my roots grey, and sops up the oil. Easy, right? 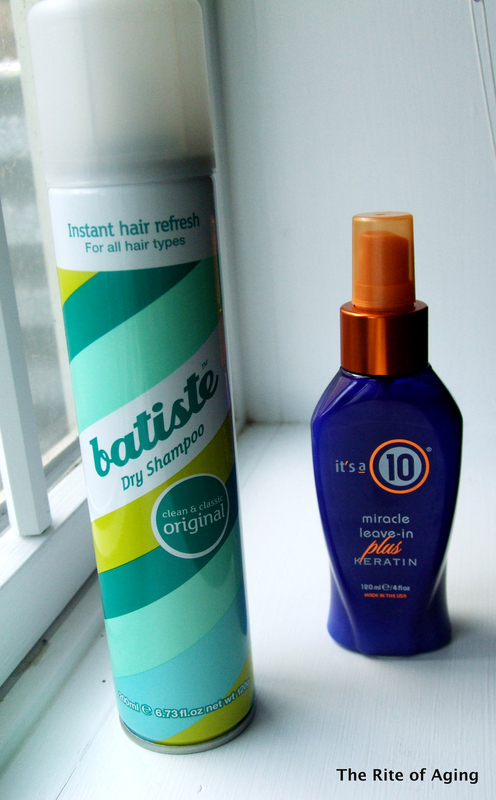 I picked up the Batiste dry shampoo in the original Clean & Classic scent because there was a manufacturer’s coupon attached, I had heard of the brand recently, and I thought, heck..why not? This dry shampoo is so great! I do have a couple of issues with it, though. The scent is certainly “clean and classic” for a hairspray but it is SO strong. If you are sensitive to perfume you may want to pass on this product. However, the smell dissipates quickly and leaves a subtle fresh scent on my hair. The biggest downside is this spray COATS my hair in product: white, opaque product. I have to work two different brushes, for quite a few minutes, before my hair returns to its normal color. I use a broad tooth comb to work the product into the ends and a boar bristle brush to remove residue. All that aside, once the dry shampoo sets my hair feels fresh out of a wash and condition. This product actually extends my non-shampoo time by one more day! Previously, with other products, I had to wash my hair the same day. Would I re-purchase? Yes, but I want to try the colored versions and other scents.